Professional photographers and filmmakers are increasingly turning to 4K drones (a.k.a. 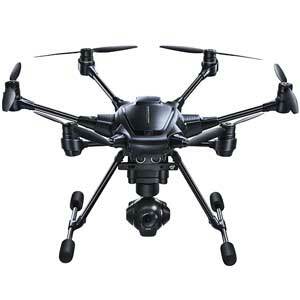 4K camera drones or 4K video drones) in order to capture beautiful, ultra high-definition (UHD) footage. There are plenty of 4K camera drones available on the market and making a choice can become a daunting task. We’ve researched the subject and compiled feedback from trusted review sources to create an unbiased selection of some of the best 4K drones on the market. What is the best 4K camera drone in 2019? Over the past decade, photography has become more accessible thanks to smartphones and lower-priced digital cameras. The same trend is now happening with 4K camera drones: almost any user has the opportunity to easily create professional-grade videos and photos with the touch of a button. However, there’s an overwhelmingly high number of aerial camera drones available on the market today, and at different price points. How to choose the best 4K camera drone? In this article, we cut through the clutter and highlight some of the most relevant UHD camera UAVs. Our in-depth research is based on feedback from various reliable sources and user reviews (read more about how we work). 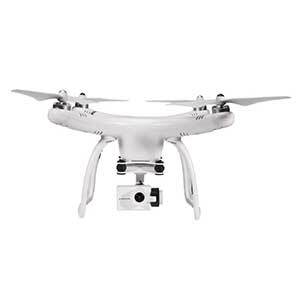 Our UHD drone video camera selection features a number of reputable drone manufacturers such as DJI, Yuneec, and Parrot. However, they also share the limelight with lesser-known drone companies such as Autel Robotics or Upair. We indeed strive to provide a comprehensive overview of the 4K drone market, including both popular and more anonymous products. What is a 4K camera drone? 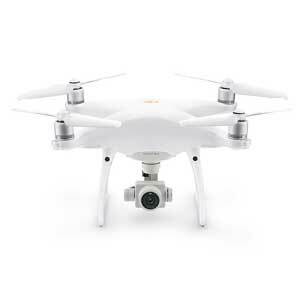 A 4K camera drone is equipped with an ultra high-definition camera (4K resolution). 4K drones are typically more expensive than regular camera drones and allow for professional-grade image and video capture. This table represents our selection of the best 4K camera drones on the market. The UAVs are sorted according to their metascore but can be sorted by price or any other criteria by clicking on that particular column header. *MSRP: manufacturer’s suggested retail price. Prices may change over time and/or vary from one country to another (taxes, shipping fees, etc.). We have not tested all of the 4K quadcopter drones in this list. To make this selection, we take into account user feedback and reviews from reliable sources. Read more about our methodology here: how we work. The DJI Mavic 2 Zoom– part of the Mavic 2 Pro series– makes for a serious contender in this list, grabbing the top spot in terms of metascore. 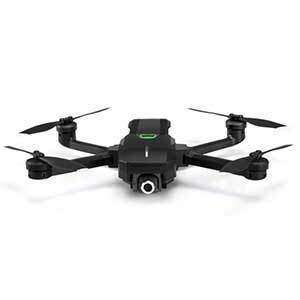 This foldable 4K drone specifically targets professional users that require extremely high-quality footage and images outdoors. Indeed, it’s tailored accordingly, with special photography modes, 4x lossless zoom (zooming without loss of quality), FPV goggle compatibility, and other premium features. Furthermore, the Mavic 2 Zoom boasts omnidirectional obstacle detection and avoidance, even while flying at its 72 km/h maximum speed. This drone’s hefty price tag is justified by a number of premium, professional features such as 360° obstacle avoidance and self-heating batteries. The Inspire 2 DJI drone is capable of reaching speeds of up to 80 km/h in only 5 seconds, according to the manufacturer. Furthermore, thanks to its CineCore image processing system, the DJI Inspire 2 is able to record footage in 6K resolution. DJI’s Mavic Air is one of the go-to options when it comes to finding the best small 4K drone (and it is one of the smallest 4K drone options on the market). 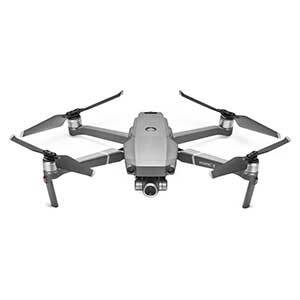 This DJI drone’s compact size isn’t to be taken lightly; the Mavic Air’s integrated ActiveTrack system is capable of detecting and following up to 16 targets at a time while shooting 4K Ultra HD video. Another stand-out feature with this foldable quadcopter is its unique “32 MP panorama sphere” shots that drone pilots have the possibility to view with a VR headset (e.g. DJI Goggles). With its 7-kilometer range and 30-minute flight time, the Autel EVO quadcopter is definitely a workhorse. Besides its impressive autonomy, this foldable 4K video drone is easy to use thanks to its multiple autonomous flight modes. Drone pilots may control their Autel Robotics EVO drone via the dedicated Autel Explorer mobile app, via the included intuitive controller (with a built-in 3.3” OLED screen and one-key action buttons), or via FPV goggles. The Mantis Q, manufactured by China-based Yuneec, offers interesting control features such as voice command and facial recognition. Drone pilots have the option to take “dronies” (drone selfies) by simply waving at their Mantis Q 4K drone. In addition to automatic obstacle avoidance, the Yuneec Mantis Q provides various flight modes to optimize user experience. 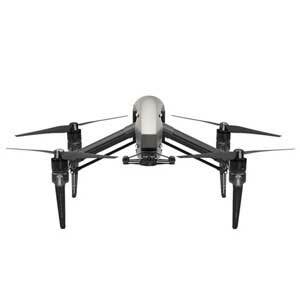 What’s really striking about this foldable 4K UHD drone, though, is its outstanding 33-minute maximum flight time, paired with a competitive price (in comparison with other drones on this list). 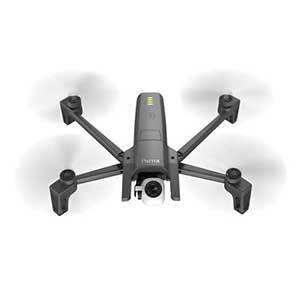 According to Yuneec, this professional 4K video drone is Ready-To-Fly (RTF) out of the box. The Yuneec Typhoon H Pro offers users easy piloting with various autonomous flight modes, including Watch Me, Follow Me, POI, Orbit, Journey, and more. Also, besides essential accessories (i.e. charger), the Typhoon H Pro RS comes with a backpack, an extra battery for longer flying sessions, and the ST16 all-in-one controller with its built-in 7” touchscreen. DJI grabs another spot in our top 4K drone selection with the Phantom 4 Pro Version 2.0. This professional photography drone is equipped with a 20 MP camera capable of filming 4K footage at 60 fps. The Phantom 4 Pro V2.0 quadcopter also boasts multiple sensors in order to avoid obstacles coming from four different directions. Its batteries allow it to fly for 30 minutes within a range of 7 km. Plus, this DJI drone’s unique OcuSync transmission system offers a range of perks, including the ability to connect the quadcopter to its controller and FPV goggles at the same time. Parrot is a renowned consumer drone manufacturer based in France. Their flagship Anafi drone boasts 25 minutes of maximum flight time within a range of 4 km. This foldable 4K photography drone is able to resist winds of up to 50 km/h despite its lightweight frame. The Anafi’s main downside– given its fairly high price point– is its lack of obstacle avoidance. Some reviews have also pointed out the Anafi drone’s tendency to drift and being slow to respond to controls. This self-flying drone presents an interesting and unique design. The Hover Camera Passport’s rotors are safely surrounded by a robust carbon fiber frame, limiting damage in case of a potential crash. 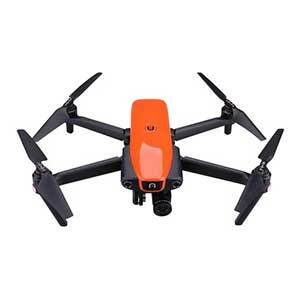 With its self-flying modes (fully autonomous, does not require manual piloting), this affordable 4K drone for beginners is easy to use. Plus, it offers a 360° panoramic function. 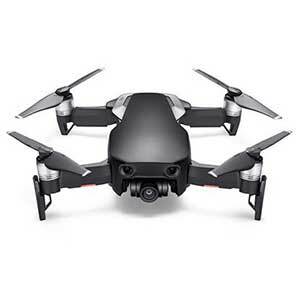 Below we list a few interesting 4K camera drones that haven't made it into our main selection due to a lack of metascore. Priced at just under $230, this affordable 4K camera drone is one of the cheapest 4K drones available on the market. Although it does capture great images, this photography drone’s maximum flying time is limited to 12 minutes only. The Contixo F17+ doesn’t come with a GPS or autonomous flight modes, so it may be more suitable for experienced hobbyists and amateurs rather than for first-time drone pilots. Skydio refers to their R1 drone as a “self-flying autonomous camera”. After unfolding the Skydio drone, users have easy control over it via the dedicated mobile app. A range of autonomous flight modes are available, including Orbit, Side, Tripod, Lead, and Follow. However, the user is able to steer the R1 manually through the app too. The Vanguard 4K camera drone is a high-end photography UAV for professional use (e.g. surveillance). This premium 4K drone costs around $45,000, a high price tag justified by the impressive specs it offers: 94-minute flights, a 35 km range, a payload capacity of 2 kilograms, and more. Additionally, this foldable drone’s 4K camera boasts 24 MP and a video frame rate of 60 fps. Using a camera drone to capture photos and videos offers a number of interesting advantages. Higher quality videos and photos due to high resolution: it may seem obvious, but 4K Ultra HD resolution enables users to capture high-quality images and video footage. More post-editing possibilities: since the photos and videos are of a bigger size, it’s possible to zoom into images and footage and/or crop them while still maintaining very good image/video quality. Stable aerial shots: drones give more possibilities than a regular handheld camera. They are able to follow smooth trajectories thanks to the various autonomous flight modes mentioned further below. Most 4K quadcopters also feature image stabilizers (e.g. 3-axis or 6-axis gimbals) for clear, crisp footage. 4K camera drones are typically equipped with many more user-friendly features (autonomous flight, facial recognition, etc.) than regular drones or RC racing drones. This is because they are destined for applications where high stability is required (such as professional filmmaking) and where special flying/shooting modes are a crucial selling point. Our 4K drone buying guide covers the main decision-making specs and features that drone pilots should consider. Obstacle detection/avoidance: thanks to various sensors, the drone is able to detect obstacles such as trees. In the case of there being an obstacle, either the user is notified in order to manually avoid the obstacle, or the drone is able to avoid it automatically. Orbit/POI (point of interest): with orbit mode, the UAV circles around a specific subject indicated by the user. The subject can, for example, be a person, a monument, a tower, a car, etc. 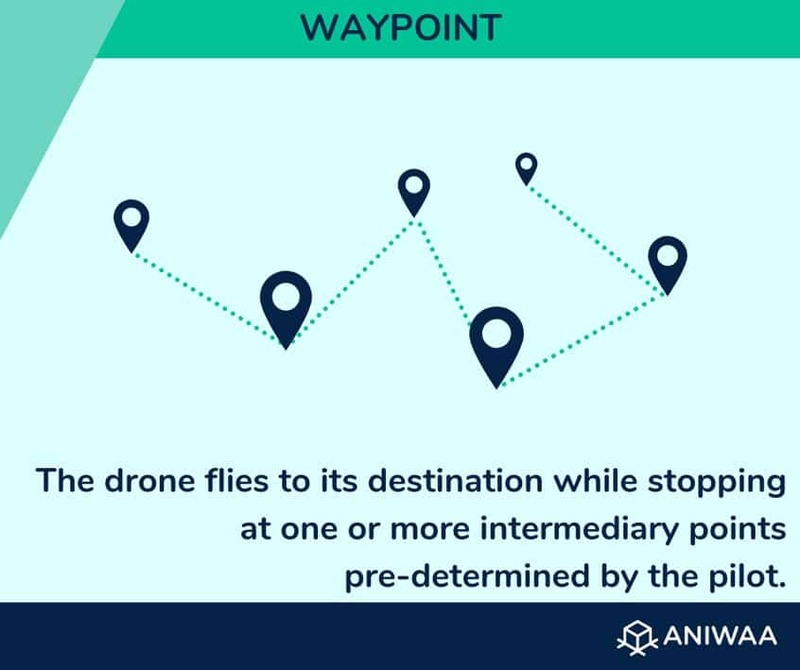 Waypoint: users may determine a precise trajectory/itinerary for their drone instead of having to navigate the drone manually. 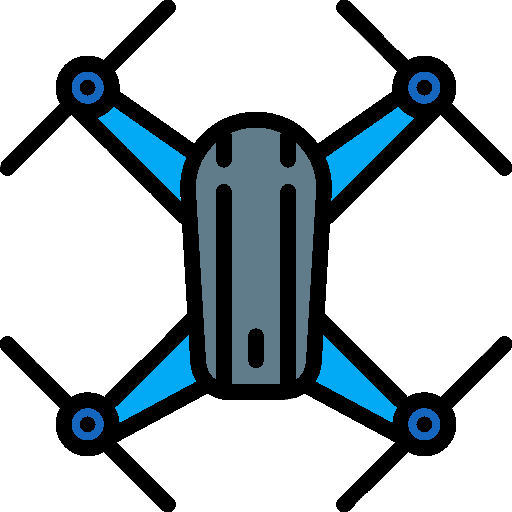 Follow-me: with this feature, users can simply tell the drone to follow them around without having to manually pilot the drone. The drone “follows” the drone pilot’s controller (different than tracking with facial recognition). 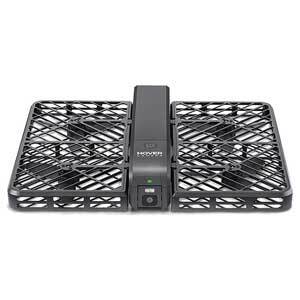 There are also self-flying drones such as the Hover Camera Passport or Skydio R1 (mentioned further above) which are able to fly themselves with minimal user input. Amount of MP (megapixels): the more megapixels there are, the more users will be able to zoom into the picture, crop the image, etc. This spec is mostly important for those who wish to print their images in large sizes or canvases. Angle (e.g. 90°): wider angles enable drone pilots to capture wider images. A wide angle is useful, for example, when shooting landscape footage. ISO sensitivity range: if a camera has high ISO sensitivity range– ISO 6400 being the highest sensitivity– users have more flexibility when taking photos in low-light situations (more detailed information here). Gimbal stabilizer: many 4K camera drones are equipped with stabilizers. The gimbal can be 2-axis, 3-axis, or even 6-axis. A higher number of gimbal axes ensures more image stability when the drone is flying. FPS (frames per second): for drone pilots looking to create stunning videos, a high FPS rate is crucial. This ensures that the footage is smooth, especially for fast-action scenes. Dolly Zoom: this technique is used in filmmaking. It consists in zooming into a subject all while moving the camera backwards. This way, the subject remains the same size within the camera’s frame, but not at the same distance. Dolly Zooming is complex to achieve manually, but some drones automate this method. Dronie (drone selfie): why use a selfie stick when selfie drones exist? With the click of a button, voice command, or hand gesture, drone pilots can capture selfies on-demand with optimized framing. Tracking (e.g. ActiveTrack): some drones feature facial recognition and/or object recognition. Thus, the drone is able to follow different subjects such as a car, an animal, people, etc. The DJI Mavic Air, for example, is able to follow sixteen different targets simultaneously. Live streaming: depending on the drone and its transmission power, it’s possible to live-stream first-hand footage. Transferring heavy data (e.g. 4K video) through long distances is demanding though, so most of the time a live video feed is only available in reduced quality and frame rates. The Dolly Zoom effect in the Jaws movie. Flight time: for how many minutes can the 4K quadcopter fly? Range: how far away from the pilot can the camera drone reach? Speed: is the drone able to follow a fast-moving target? Their level of importance depends on the use case that the drone is destined for. If the goal is to capture selfies (or “dronies”), then the drone’s maximum range and speed don’t necessarily need to be exceptional. However, for filming professional scenes or large landscapes in FPV, a large range is almost essential. A drone pilot using DJI Goggles in pair with an RC controller. It’s important for the HD camera drone to have a robust design and build (i.e. carbon fiber material), in addition to propeller guards. Many 4K camera drones offer automatic obstacle avoidance, but there’s always a slight risk depending on the environment and its conditions (e.g. wildlife or wind). The drone’s size and weight will also matter depending on the drone pilot’s activity. Many of the 4K quadcopters in this list are foldable, making them much easier to transport. Most 4K drones come with dedicated, intuitive controllers. However, they don’t all feature a screen, and some radio controllers require users to mount a smartphone or tablet onto the controller. In this regard, it’s up to the user to see what they are more comfortable with. Also, even if the drone ships with with a controller, some drones can be easily piloted via a simple, proprietary mobile app (given that the manufacturer has developed one). Furthermore, it’s sometimes even possible to view live drone footage in FPV (first-person view) via virtual reality goggles! 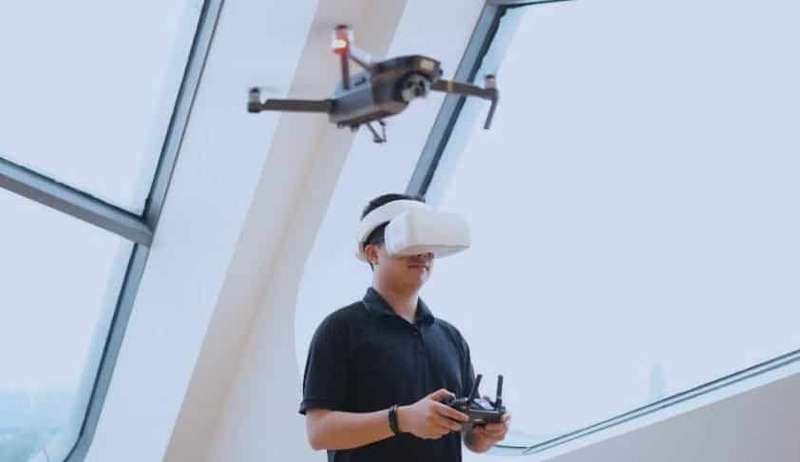 DJI has even developed their own DJI Goggles so that users may pilot their drones in an immersive way. How much does a 4K drone cost? A 4K camera drone with basic specs and minimal features can cost as low as $229. Industrial drones with 4K cameras can cost over $40,000 and are destined for specific use cases. How does a drone video camera work? The drone video camera emits and receives signals (radio, Wi-Fi, 4G, etc.) from the user’s controller. Drones are also equipped with a range of sensors such as gyroscopes, accelerometers, barometers, and more in order to detect their position. Generally, 4K camera drones also feature gimbal stabilizers in order to capture high-quality photos. Is a 4K video drone different to a 4K camera drone? The terms “4K video drone” and “4K camera drone” are synonyms. How high can a 4K camera drone fly? Some high-end photography drones can theoretically reach altitudes of up to 7,000 meters, although the all-time record is 11,000 meters with a DJI Phantom 2. However, many developed countries’ laws and regulations prohibit users from flying drones above 150 meters (approximately 500 feet). How far can a 4K camera drone fly? The maximum flying range of most 4K camera drones can vary between 100 meters and 8 kilometers. The high-end Airborne Drones The Vanguard has a maximum range of 35 kilometers. Discover our selection of the best FPV racing drones. Use our drone comparison engine to compare drones side by side. We also have a full VR headset database (FPV goggles).